Now in our 19th year, the Chelsea CSA provides members with fresh, organic vegetables and herbs weekly from mid-June through Thanksgiving. Local residents have teamed up with the Kavakos family of Stoneledge Farm in South Cairo, New York, who sell shares in their harvest. The CSA enables member shareholders to enjoy weekly deliveries of farm-fresh organic vegetables while supporting local agriculture as embodied by Pete and Deb Kavakos and their four children. The Chelsea CSA provides access to local, organic food for a wide range of Chelsea residents at various income levels. Our partnership with Hudson Guild, a non-profit settlement house, enables us to accept Food Stamps. We are proud to be a mixed income CSA, offering discounted shares and season-long payment plans for eligible households. Learn more about becoming a member. CSA members purchase their shares from the Stoneledge Farm before the harvest. By receiving income at the beginning of the season, the farmer is able to buy seeds, equipment and take care of other expenses without having to take out loans. People who join the Chelsea CSA must commit to the length of the entire season (even if they pay in installments throughout the season). When you join the CSA, you are buying a share of the farm’s harvest for a season (24 weeks). Shares vary in size and weight depending on the time of the season. The variety of vegetables you receive depends on growing conditions (such as rain and temperature) and will vary from season to season. The bounty of the farm is passed on to members. The risk inherit to farming from the whims of Mother Nature is also passed on to CSA members. This unique collaboration and community support makes CSA farm more sustainable over the long term. The Chelsea CSA is a member of the Just Food CSA Network which seeks to establish a set of common values that celebrate the most meaningful elements of the CSA model. Learn more about the Just Food CSA network. Produce is delivered directly from Stoneledge Farm to Hudson Guild. The season runs for 24 weeks, from mid-June to mid-November. Members pick up their shares at 441 W. 26th street (between 9th and 10th ave) between 4pm and 7pm each Tuesday during the twenty-four week season. The exact start date for the 2013 season has not been announced. Only members or a designated individual can pick up shares. Shares not picked up by 7 pm will be donated to a low income family or an emergency food provider. Since the CSA is completely run by volunteers, members must commit to a certain number of volunteer hours, generally by working a few two-hour distribution shifts over the course of the season. CSA members have the option to add a 20-week fruit share comprised of fresh fruit from a variety of local farms and orchards. Unlike the vegetable share, the fruit share is not organic. Members can also add a mushroom or coffee share. Additionally, CSA members have the option to order other products from Stoneledge Farm and from a group of upstate farmers. These products are then delivered as part of the weekly vegetable share. 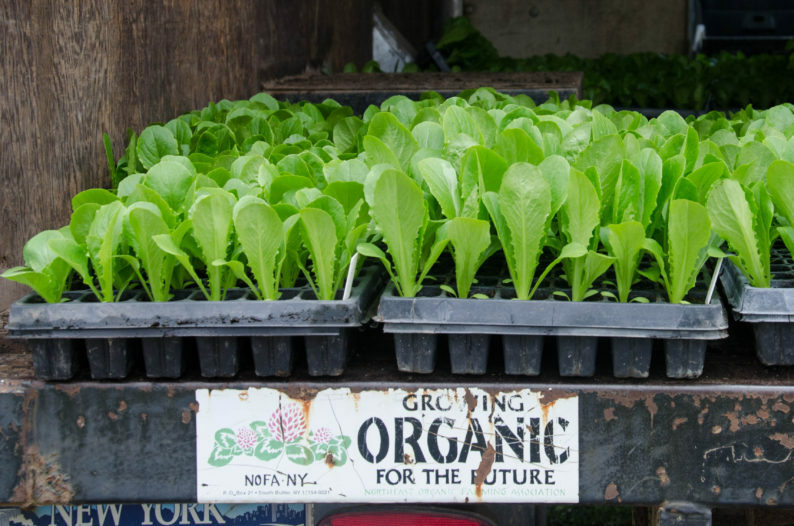 Want to learn more about the Chelsea CSA? Stop by and visit us at a weekly distribution from 4-7pm on Tuesdays from mid-June to mid-November. We’re at Hudson Guild’s Elliot Center, located at 441 West 26th Street between Ninth and Tenth Avenues. You can also email us at info@chelseacsa.org. We encourage current and prospective members to visit this site and learn more about the Chelsea CSA, a celebration of farming, food, and community! We are always looking for people to coordinate special events and/or otherwise become active volunteers over and above the required minimum hours (four for a veggie share; two for a fruit share per season). Visit this site regularly to see new announcements, articles, and recipes, as well as obtain information archived from past newsletters. If you would like to contribute your ideas for the website, please submit at info@chelseacsa.org.